This joint CIWEM/ICE event is an exciting opportunity to see first-hand the construction phase of a major coastal protection scheme. 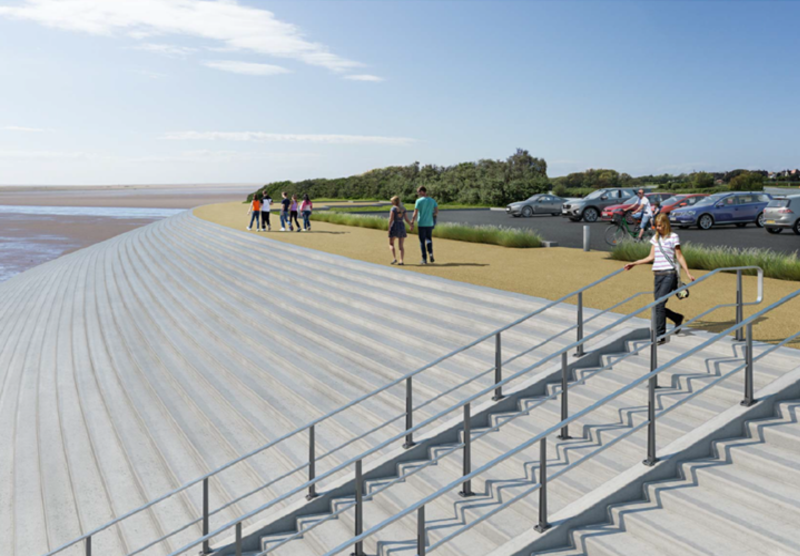 The principal Contractor is VBA, a joint venture between VolkerStevin, Boskalis Westminster and Atkins, who have been appointed on behalf of Fylde Borough Council to undertake the works, funded by the Environment Agency. Mike Pomfret (Project Manager, Fylde Borough Council) will talk about the project’s aims and design considerations at Fylde Borough Council offices. After the presentation, the group will meet at the site compound to be taken around the construction site, which is at various stages of completion (please see PPE requirements below). There are a very limited number of places available for this event book your place here. Please contact [email protected] if you have any difficulties with booking a place or would like to cancel your attendance. Should you be unable to attend the event after booking on, please cancel to allow other delegates to take the place. Please contact [email protected] for any further information about the event. Refreshments will be provided before the presentation. High vis jacket, hard hat, footwear with toe and midsole protection, goggles and gloves. Anyone without suitable clothing will unfortunately not be permitted to attend the site visit part of the session. To book your place, simply click the 'book now' button below and follow the onscreen instructions. If you experience any issues, please contact the event administrator: [email protected].